Was 29 years at the time of selection. Calls Williamsburg, Virginia, home. She completed a Bachelor of Science in Biology and Master of Science in Marine Sciences at The University of North Carolina, Chapel Hill. Cardman is currently a National Science Foundation Graduate Research Fellow working on her doctorate at The Pennsylvania State University. Her research has focused on microorganisms in subsurface environments, ranging from caves to deep sea sediments. 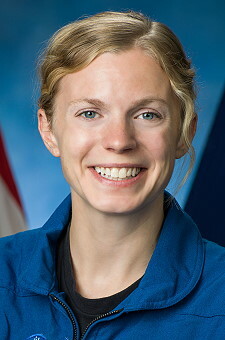 Her field experience includes multiple Antarctic expeditions, work aboard research vessels as both scientist and crew, and NASA analog missions in British Columbia, Idaho and Hawaii.